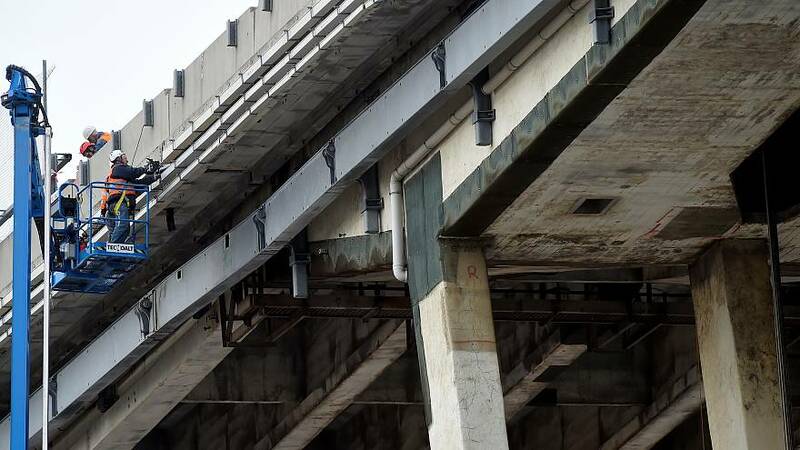 Demolition work has begun on the Morandi bridge in Genoa in Northern Italy, 6 months after it collapsed. The motorway bridge gave way in August of last year, killing 43 people and forcing hundreds of others to leave their homes. Over 500 people who were forced to leave their homes following the disaster in Genoa still don’t know if they will ever be allowed to return home. Anna Rita Certo was one of them and was living below the bridge before its collapse. She told Euronews how her life has been affected by events. Certo says that ongoing maintenance work on the bridge over the past two years has meant she has been kept up at night and she continually looked to Autostrade for help. Since the first day the bridge collapsed, she said, she has been aware that she can no longer return to her home.